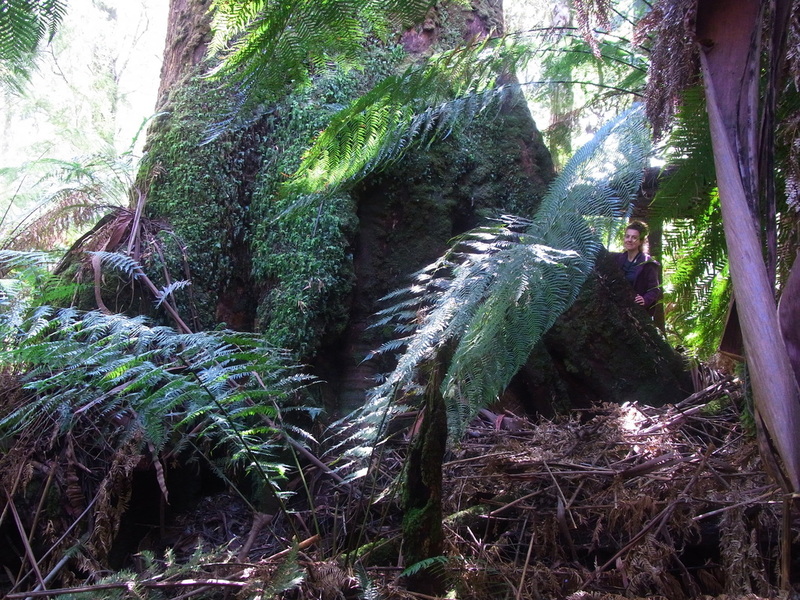 The high rainfall of the Otway Ranges supports lush fern gullies and dense forests - it also was the home to the largest hardwood trees on the planet. 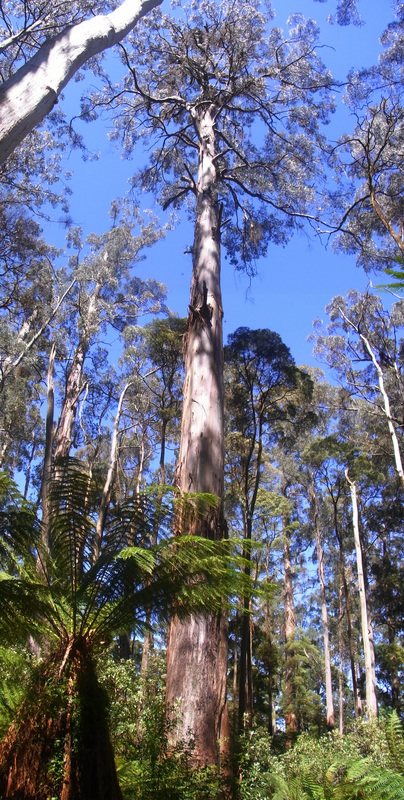 Sadly, much of the original forest on the higher parts of the range has been cleared and replaced with cleared farmland and pine plantations. 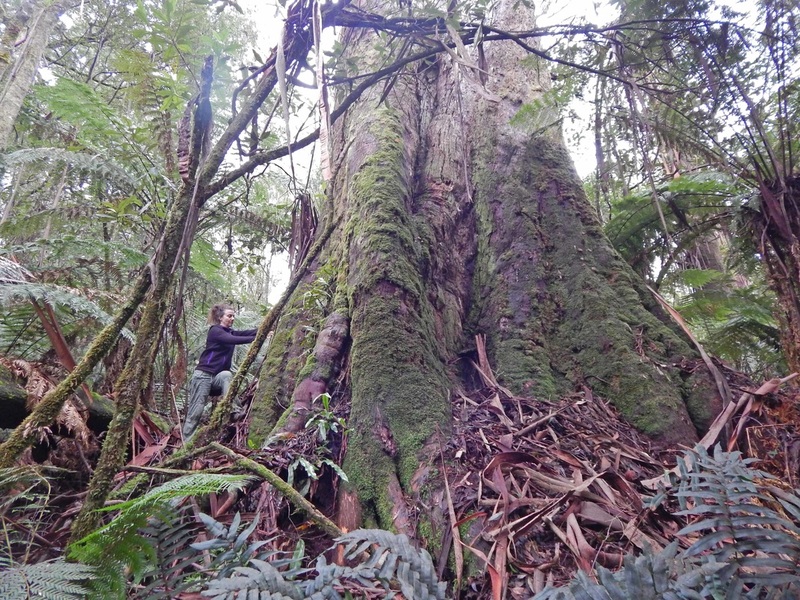 Furthermore, most of the remaining native forest has been subjected to logging at some stage and you can still come across old stumps with the tell tale springboard holes which enabled the timber cutters to get above the buttressed base. 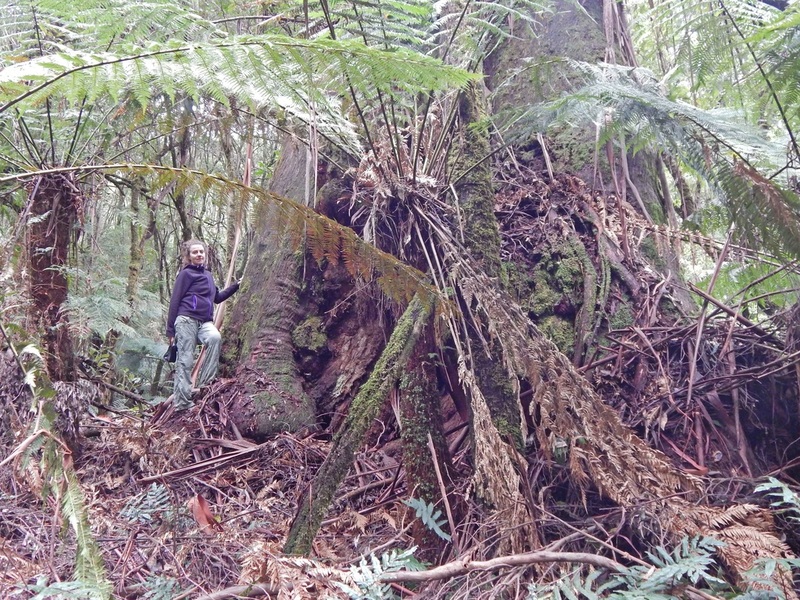 Nevertheless, in some areas, catastrophic fire has been absent for centuries and truly massive mountain ash trees, draped in filmy ferns can still be found. 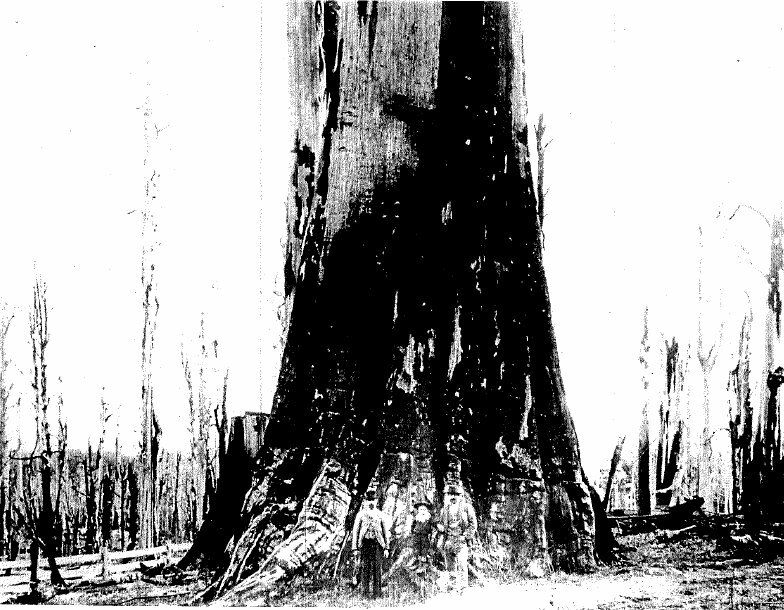 The 'Old Man Tree' from near Beech Forest from the late 1800s - note the dead and burnt forest in the background. 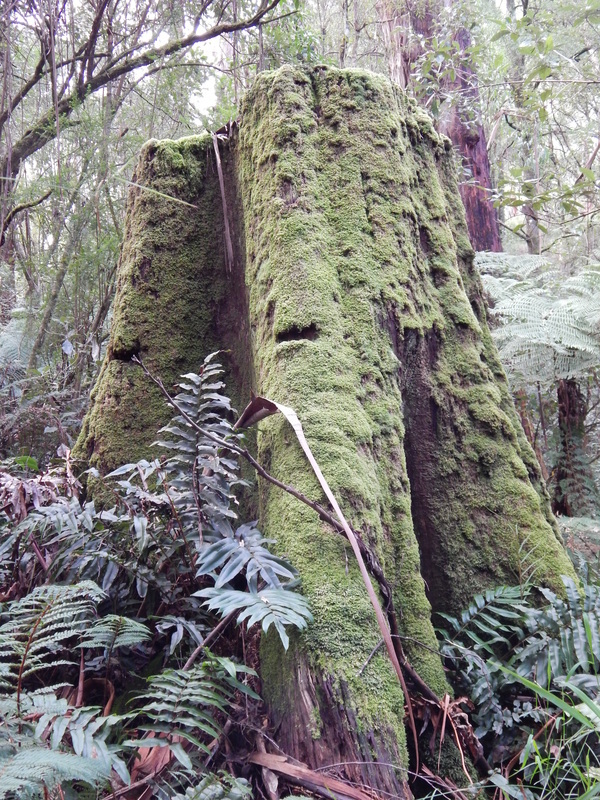 An old stump in the present day Otway National Park. 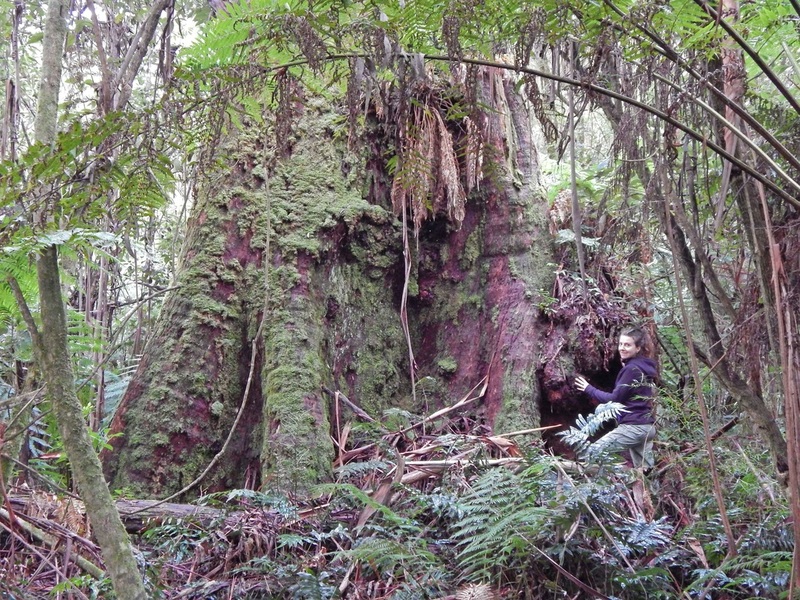 Note the notches where the timber-cutter would use springboards to get above the thickened buttresses of the tree. 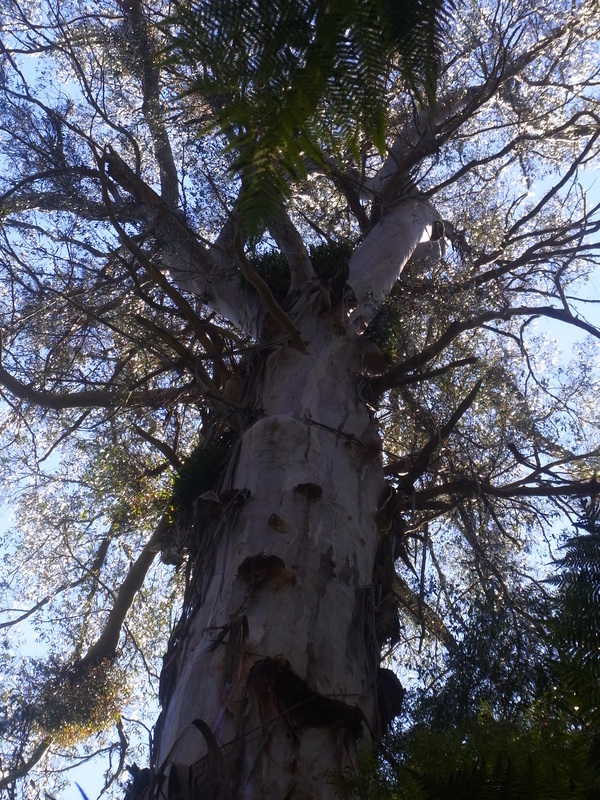 The lower base of 'Grumpkins' 12.8m girth - this ancient tree has an enormous lower trunk and between 5-15m it compares favourably with any other tree in the state . 'Mossy Mizler' above and 'Sally Spreadwell' below in the headwaters of the Parker River. 'Betty Bustle' 13m girth, above and 'Floki' 12.7m girth below. 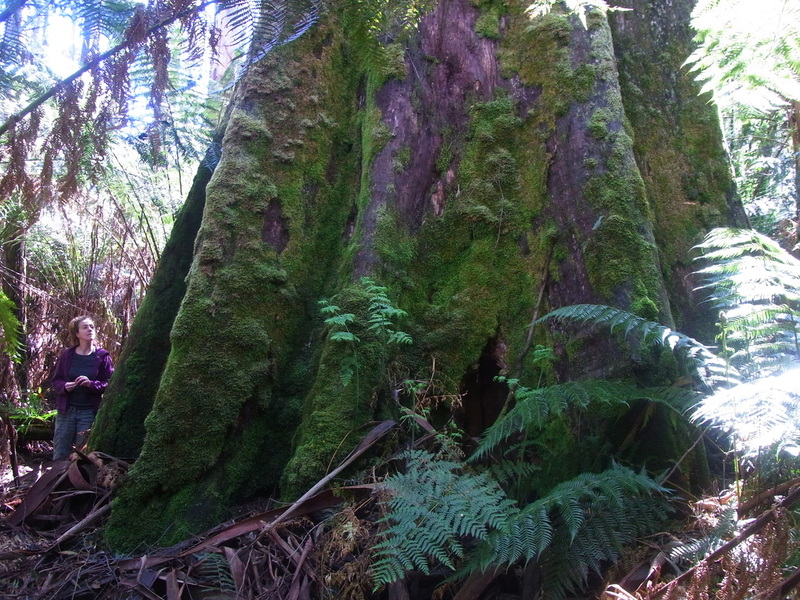 'Moss Wall' from the Big Trees Flora Reserve near the West Barham River, also has a remarkable fern mat perched 40m up where the tree bifurcates. 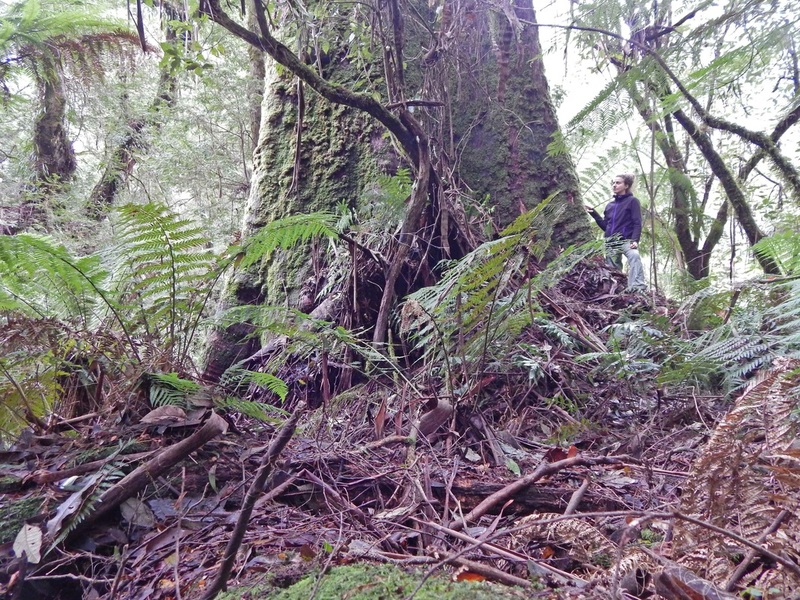 The Big Trees Flora Reserve, deep in the Barham river valley contains about 5 or 6 'intact' old trees amongst many others that have lost their tops. 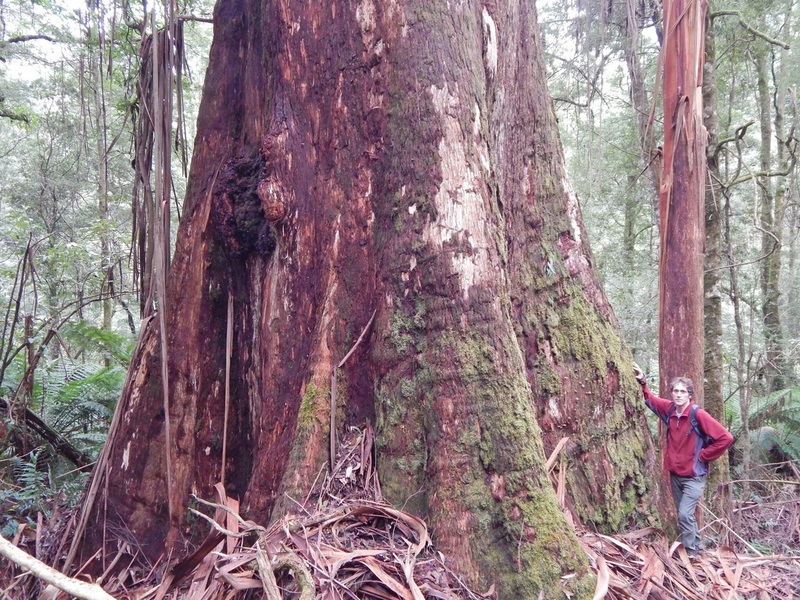 These trees are the last examples of what the early settlers must have encountered when they first penetrated these forests in the 1800s.